Rainwater is a valuable resource that can play an essential part in sustainable development. By collecting and using the rain that falls on your roof instead of letting it simply flow into the storm water drain, you take an important step towards increasing your water efficiency and conserving this all-too precious resource. Learn more about the benefits of installing rainwater tanks from Perth manufacturers like Rainfill Tanks, and start thinking long-term money and water savings. Why is rainwater harvesting so important? There are times when the mains water supply can no longer meet the needs of the population. Floods and droughts are prime examples of instances when rainwater harvesting makes sense. This practise ensures that you have enough water for your needs at a price you can afford with minimal impact to the environment. To homeowners, reduced monthly water bills are one of the most significant benefits of having a rainwater harvesting system installed, but that’s just one of many. By capturing rainwater, you can significantly reduce your reliance on water storage dams. This enables dams to be more efficient with water delivery, which can potentially reduce the need to expand them or build new ones. Rainwater collection also reduces the possibility of overburdening storm water systems, which can subsequently prevent massive flooding. Is rainwater from a tank safe for consumption? Rainwater collected in tanks is typically not recommended for drinking right off the bat. You can, however, use the water for other needs such as watering the garden, filling washing machines, and flushing toilets. There are also devices and filters you can use to ensure the cleanliness of your stored rainwater for drinking purposes. What tank size should I use? Understanding the monthly average rainfall in your area and your roof’s surface area will enable you to identify the appropriate tank size that will maximise your rainwater capture and reuse. If you would like to calculate the annual rainwater harvesting potential of your roof, don’t hesitate to consult a professional. Water is nature’s lifeblood, so it is only fitting that you use it in a sustainable manner. 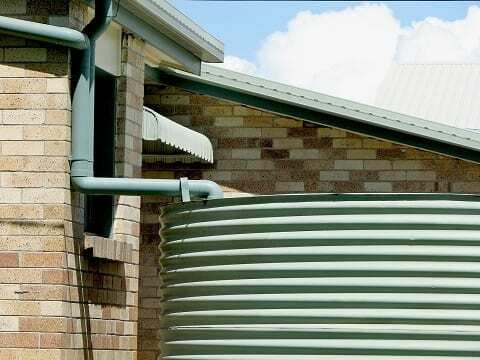 Talk to a professional installer of rain water tanks in Perth, like Rainfill Tanks and Curved Roofing Supplies, to discuss the details of building a rainwater harvesting system on your property.